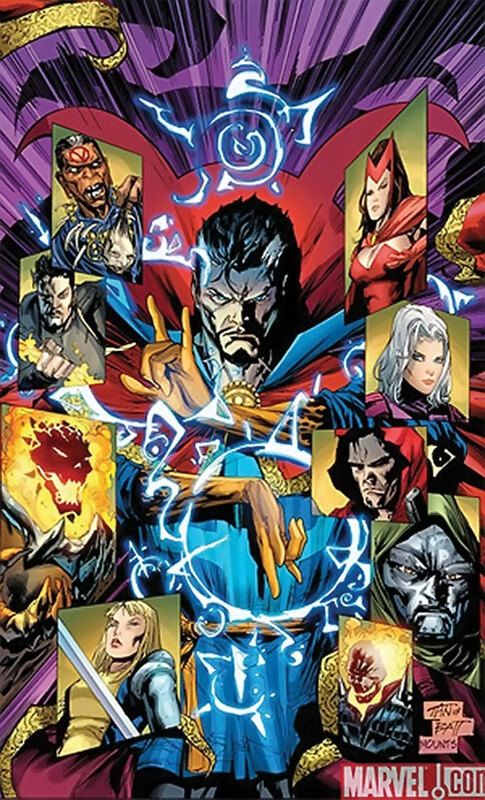 The Sorcerer Supreme is a powerful magician protecting the Marvel Universe (or maybe just Earth-616 , it has not always been clear) against mystical threats. In modern times, the position has generally been filled by Doctor Strange. 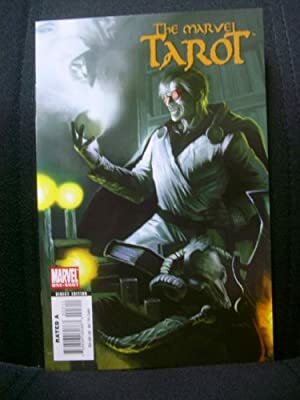 In 2007, a sourcebook called the Marvel Tarot did a great job in recapitulating and consolidating information about magic in the Marvel Universe. Unfortunately it was low-profile and many people missed it. So as a public service here’s a short, useful excerpt — the known chronology of Sorcerer Supremes — with some additional comments. 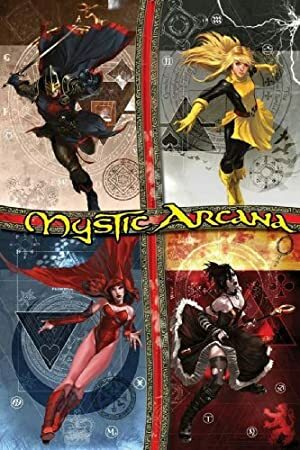 Marvel Tarot was more cryptic and allegorical than the previous must-have sourcebook, Realms of Magic , but it’s still entirely usable. Agamotto, from 18,000 BC to 15,000 BC (first Sorcerer Supreme of our dimension). Zhered-Na in 16,500 BC (killed before she was fully trained to assume the position, leading Agamotto to abandon humanity for 500 years.). Zhered-Na taught Dakimh the Enchanter. Saraswati Akah Maat from 15,000 BC to 11,000 BC. Mistress of the Winged Lords. Ayesha of Balobedu from 11,000 BC to 6,000 BC (thought to be the ancestor of Ashaka and Queen Ororo of Wakanda). Hermes Trismegistus from 6,000 BC to 3,000 BC (father of alchemy). The Aged Genghis was Sorcerer Supreme in 3,000 BC and for an unclear amount of time. He’s still around, but he’s normally quite mad. Zoroaster (aka Zarathustra) from 1,800 BC to 1,300 BC (ancient Persian prophet). Semiramis from 1,3000 BC to 1,100BC (may be the person now calling herself Salomé, and claiming to have been a Sorcerer Supreme). King Solomon of the Jews , son of David from 1,000 BC to 800 BC. Balkis, the legendary Queen of Sheba and lover of Solomon from 800 BC to 550 BC. The Triumvirate from 550 BC to 400 BC (Thales the Milesian , Pythagoras of Samos and Pherecydes of Syros . In 470BC Pythagoras is replaced by Empedocles of Agrigentum ). Caius of Lacedemons from 400 BC to 100 AD (last man to wield all three Eyes of Agamotto, seen in Doom 2099 #13). Zhang Jiao (leader of the Yellow Turbans Rebellion ) was Sorcerer Supreme in 100 AD. Merlin won the contest for the position in 500 AD but refused the title. At this point there is a cryptic reference that seems to indicate that Merlin is replaced by Merlyn of Otherworld, the Omniversal Guardian. It may be a garbled reference to the Mad Merlin aka the Maha Yogi, since there’s a lot of deliberate obfuscation about the Merlin identity. Ancient One (at some unclear point, perhaps in the 1700s, to 1973 AD. Doctor Strange’s mentor. Hiram Shaw was called “Sorcerer Supreme” in 1690s, but never actually rightfully bore the title. He’s the ancestor of Sebastian Shaw of the Hellfire Club, and was active in Salem. Doctor Strange from 1973 AD to 2008 AD. Doctor Voodoo from 2009 AD to 2010 AD. The 1973 date for Strange becoming Sorcerer Supreme is, per writeups.org usage, the publication date (Marvel Premiere #10, to be specific). However, Dr. Strange is known to have operated significantly before the ’modern’ super-heroes. For instance he precedes the Fantastic Four (who, in Marvel continuity, started operating “ten years ago”). The main exploration of the years between WWII and the modern heroes (Marvel : The Lost Generation) does depict Strange as being active circa 1973. The good Doctor doesn’t seem to be Sorcerer Supreme in this story. But it may simply be that this appearance occurs in early 1973 or late 1972, and Stephen Strange becomes Sorcerer Supreme months later. Main information paraphrased from the Marvel Tarot official Marvel Comics sourcebook by David Sexton, with additional discussion and explanations by Sébastien Andrivet.